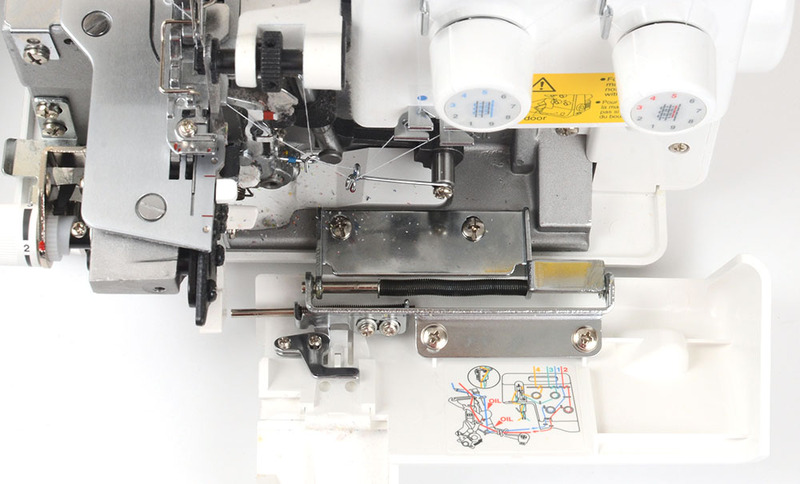 UPDATE 2018: I STILL use this as my only serger and I still love it 🙂 There hasn’t been anything bad to report, and even more now after using it for 3 years I recommend it! It’s the only one on my table and gets used almost daily. This will be really short and to the point but I just got a new serger and wanted to let you know I love it! 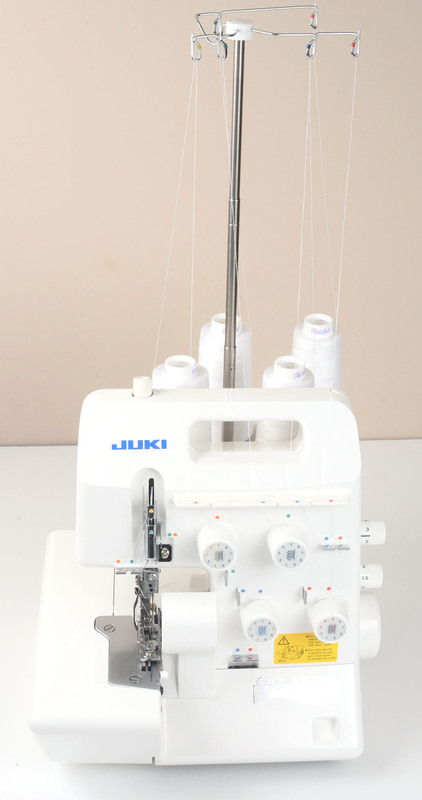 It’s this Juki MO-654DE (affiliate link). I got it on Amazon for $380. I’ve been using it for a month and have yet to run into anything I don’t like. 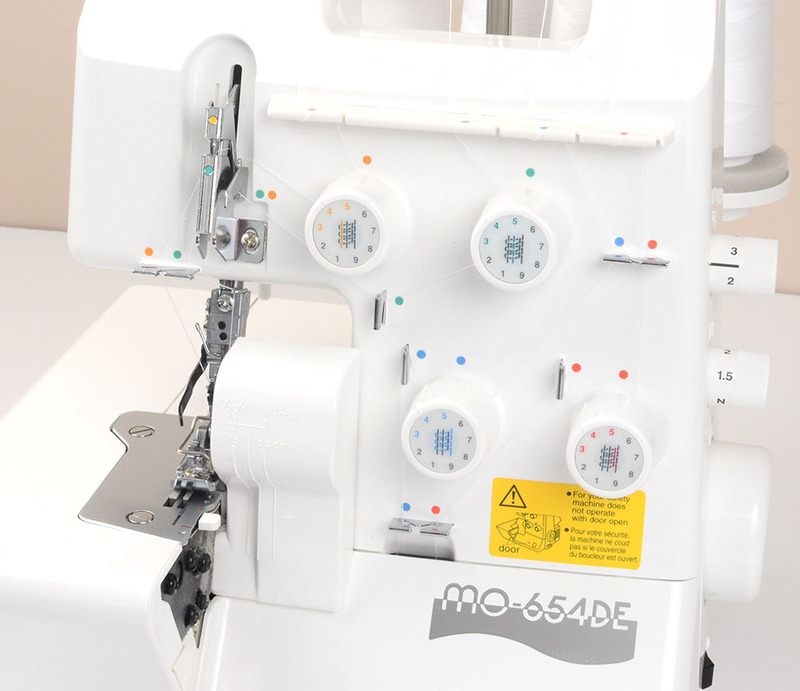 You can use it as a 2, 3 or 4 thread seam. It’s pretty straight forward. You can see the differential feed knob on the right. As well as the stitch length. Here’s the inside. 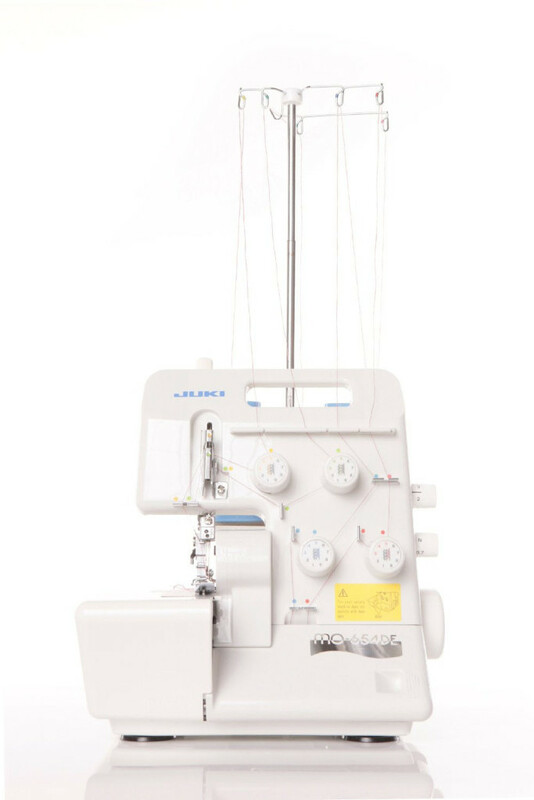 There’s a threading guide that is super easy to follow. It’s been a smooth, fun machine to use. Just what I wanted! I’ll update after using it awhile longer.